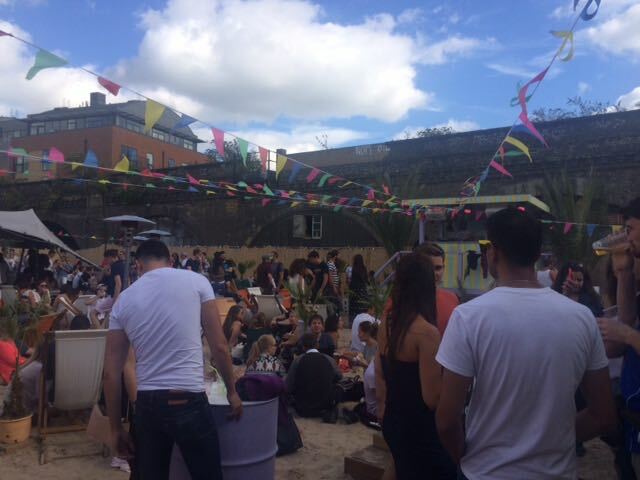 Brixton Beach Boulevard is bringing the summer to the city dwellers looking for a summer escape. The space in south London has been filled with sand, benches and -a wonderfully retro vibe. With the sound of 70's disco playing, you'd almost think you'd been transported to a Miami beach party. A great range of food offerings are available. There's Lucha Burrito who is bringing the taste of Mexico with a variety of burritos and rice pots, with all the trimmings. Then there's Mac to the Future who is taking on the classic dish by adding little twists of originality- especially with their side dishes of tator tots! Lucky Pierre is a French pop up with great quality food with ease. 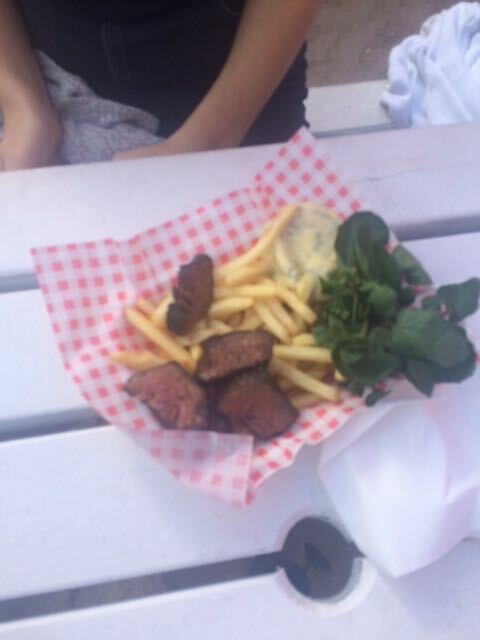 The Steak Frites is a great dish with incredibly tender meat, and the béarnaise sauce gives it an extra kick. 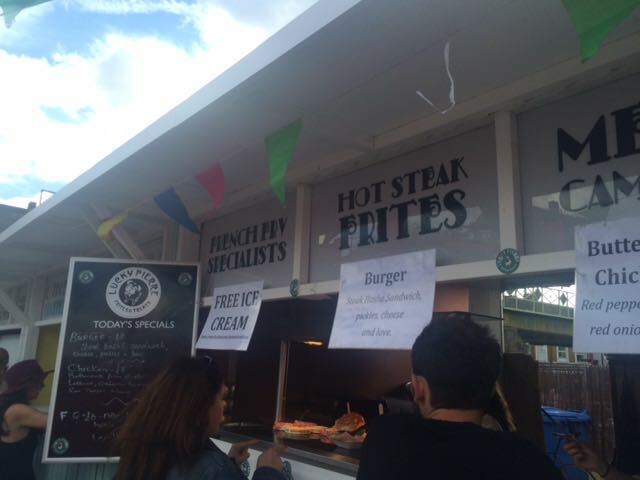 The Cheese Frites were also especially enticing- with a whole Camembert with garlic and rosemary. 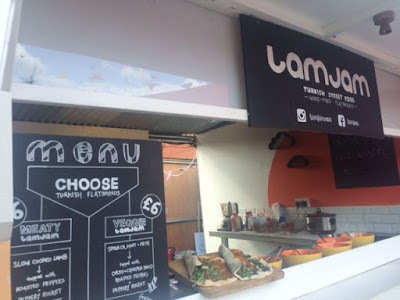 Lamjam specialises in Turkish Street food and their lamb wrap certainly did not disappoint - with strong flavours and the perfect amount of spice ! 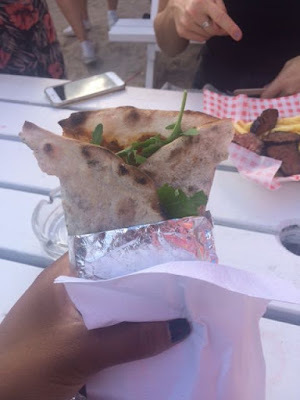 All the food vendors offer something unique and there truly is something for everyone! Make sure to try one of the slush cocktails at the bar to complement your food- the passion fruit was a particular favourite! Check out the menus at http://www.brixtonbeachboulevard.com/food/- don't miss out on the last of the summer!